Keeping in mind ever-evolving requirements of our respected clients, we are offering a premium quality range of English Learning Software. English Café is a meticulously crafted full-service learning software suite that not only hones your communicative mastery of the English language but also evaluates your reading and listening skills while scoring your vocabulary and grammar comprehension and delivering instant scores that help you better proficiency. 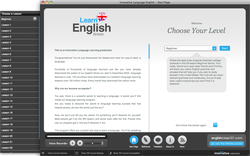 With hours of interactive video and audio, Cafe English is the complete English learning software that can teach you all that you need to know to function in English in a number of different situations. 'Talk Right a software based 'Language Lab' is designed and developed with the objective to allow the students to listen & speak for 100% of the class room time. Lexis Essential has been devlop specifically to acquire command over English Phonetics. Includes detail study of 44 Sounds of English along with Animated Articulation showing tongue position for each sound. Specially designed audio lessons for indepth practice of each sound. Hi Guys, I prepare flash kid learning software, flash related file that can run also on offline use. This software is useful for children at offline use. Any person may customize their software according to their requirement and work. this module aims at installation and training you in configuration and operation of moodle, which is a free and open source learning management software(lms). Moodle is a popular lms platform used at numerous schools and colleges. Learn english with fun and ease with innovative methods ! Communication in english language has become necessity to today’s competitive world. 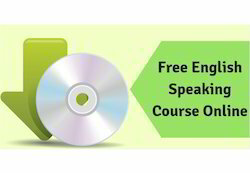 Spoken english software is the self learning software which will help everyone to speak in english.